Parent and Student Portal. 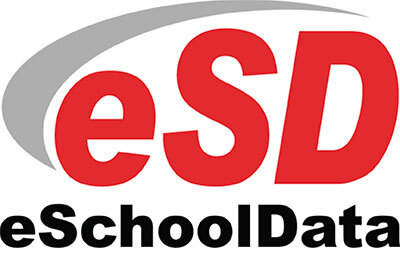 Practically any type of information that a student or parent might be interested in can be made available via eSchoolData Portals. Districts control of what parents and students see, as the full array of available information can be customized by building and grade level. Teacher Connect Messages. In addition to being convenient, delivering information and enabling person-to-person communication through eSD is always secure. As with all eSD data exchanges, communication among teachers, students and parents is encrypted (unlike email). Enter your email address and confirm by typing again. Choose password; re enter to confirm. Choose authentication question; and answer – click on the blue button on the bottom right, “Create Account Information,” to go to the next screen. Enter your (PARENT) personal information. Then click to next blue button to go to the Student Information screen. Then submit. Accounts can take up to 24 hours to activate; you will receive an email once a match is made between parent and child – and the account will be approved and activated. The Ramapo Central School District utilizes a standards-based elementary report card. These report cards are delivered electronically via the eSchoolData Parent Portal and effectively communicate students’ progress, areas of strength and where improvement is needed. These report cards, first introduced in the 2014-15 school year, are grounded in current educational research and resulted from collaborative work by the District’s teachers, administrators and parent representatives. More information about electronic report cards is available here.